A hackerspace is a place where people with common interests, usually in science, technology, or digital / electronic art can meet, socialize and collaborate. Many of the tweeps know already what a Twestival is about, but many others have already started asking about it. And that`s why we have thought to hold a "warm up" party on Sat.19 march, thanks to the kind support of the Aikilab team. The warm-up will feature lots of cool presentations, from how to make your life "greener" to how to use open software. And, of course, how to join the "Twestival Damascus"! It`s a party, so feel free to drop by and check out what`s going on. We`ll offer you nice food and warm Syrian hospitality at Aikilab! And we`ll hope to inspire cool discussions with light talks and presentations. Marhaba, Damascus Tweeps! Finally Twestival is coming to Damascus for the first time. Twestival is a global event happening in all the 5 continents simultaneously on 24th March. Damascus will celebrate together with many other cities on the same day in a nice gathering which is going to be hosted in the stunning framework of the Danish Institute, one of the most beautiful houses of Old Damascus. Twestival is a cozy gathering of people who tweet and like to network, make new friends, enjoy discovering new worlds and interests. Syrian people are social by definition. And, in order to celebrate this, we want to dedicate this Twestival to something which is social by definition: "sharing". Every day, during your daily life, you share something: you share food, thoughts, doubts, ideas, time with other people. Twestival Damascus invites all Syrian tweeps (and also people who are not on Twitter yet but want to get started) to "sharing" something on 24th March. This can be a song which has meant something special to you; a picture of your friends; your favorite T-shirt; a video you`ve made; a delicious dish you have cooked, whatever! There is no limit to fantasy but please come and share with us something. "Sharing" is important and has got a special place in Syrian culture. Please come and celebrate the culture of "sharing" on the 24th March at the Danish Institute in Damascus. We`ll be posting more info during next days, but please send us your feedback at @TwestivalDamas or joining our Facebook group. Have an idea that you want to become a reality? 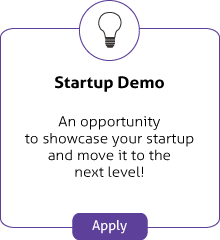 Want to move your startup to the next level? Apply now for the ArabNet 2011 Ideathon or Startup Demo to get the chance to receive the exposure, funding and mentorship you need to grow! Selected entrepreneurs will have the opportunity to pitch their businesses to over 1,000 executives, developers, investors, incubators, NGOs, and media gathered at the ArabNet 2011 Shift Digital Summit! Be a part of it today! Following the massive success of ArabNet 2010, this year’s summit, taking place in Beirut between March 22-25, will be even bigger and bolder. Don’t miss the ArabNet 2011 Shift Digital Summit and the chance to recieve the push you need to become successful! for those of you who have manifested interest in helping translating CC stuff (starting from Lessig`s talk) from English to Arabic, we`ll meet up at Aikilab Damascus on Thursday starting 5pm...we`ll try to be stick to a max of 3 hrs session so pls be on time! The Fabricatorz is an “open” production company specializing in Open Source Software, Creative Commons licenses/technology, growing on-line and off-line communities in San Francisco, China and the arab world. featured guests will give lightning talks before the party and will be available to answer questions during the event. As the leader of the Mozilla Project, Mitchell Baker is responsible for organizing and motivating a massive, worldwide collective of employees and volunteers who are breathing new life into the Internet with the Firefox Web browser and other Mozilla products. Baker was born and raised in Berkeley, California, receiving her BA in Asian Studies from UC Berkeley and her JD from the Boalt Hall School of Law. Her law career included working for Sun Microsystems and Netscape. She has also sat on the board of the Open Source Applications Foundation. 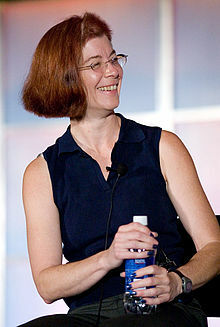 Baker has been the general manager of the Mozilla project since 1999, helping shape the license under which Netscape's source code was released. In 2003, she became president and founder of the Mozilla Foundation, a non-profit organization dedicated to openness and innovation on the Internet. In 2005, Baker led the creation of Mozilla Corp., a wholly owned subsidiary of the Mozilla Foundation. As Chairman of the Mozilla Foundation, Baker continues her commitment to an open, innovative Web and the infinite possibilities it presents. Get ready for Oct 9, first GeekFest event will take place in HackerSpace Damascus. GeekFest Damascus is an unorganized gathering for people who share interest in different technology and creativity related issues. It is a great networking opportunity to meet people from different geeky backgrounds, and share your geeky ideas. This is an open invitation for all geeks who are passionate about new technologies and innovations. YallaStartup is bringing StartupWeekend for the first time to the Middle East. StartupWeekend is a famous event that takes place in 54 cities. It's a very handson event that encourages out of the box creative thinking and startup creation. 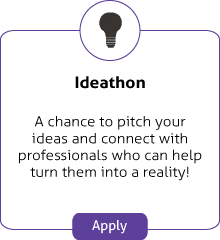 The idea is very simple, in brief it starts on Friday hosting a group of motivated developers, product, marketing, graphic and business guys and girls together, get them to team up and decide on an idea, code and deliver a prototype on Sunday. During the weekend there will be fun events and exciting short talks by experts. A number of teams from StartupWeekend in the US actually went on to become real companies and raise funding. What's also very exciting is that the weekend will also be open to participants from Syria and Jordan and YallaStartup will be chartering bus rides in a cool set up that they call "Geeks on a Bus". The Damascus art scene is vibrant and original. But Syrian artists have suffered for years and still suffer of huge piracy problems, intellectual property infringements and scarce distribution. In partnership with Aramex, The iftar in Damascus will be focused on the "Remix!" theme and on how you can turn the "stealing" concept into a much more positive "sharing" concept. The light talks -which will feature also artists from neighbor country Lebanon - will show how "loosing control" in arts can pay back in terms of popularity, networking and PR. Syrian and Lebanese artists will show how the remix idea can be used in comics, visual arts and music. Open Space Mission is the name of the weekly electrnoics/robotics workshop on Tuesdays, starting 5th of August, our ultimate goal is to build a nasa space shuttle knock off and few space rocket :-) but now will start with the basics of electronics building some arduino robots. AikiLab.org is proud to be actively involved and affiliated with a range of organisations and open source companies which share our passion for education and the development of people.